'S e baile ann an Alba a Deas a tha ann An Geal Àth, Gealabh neo Gala (Beurla: Galashiels). Tha e air an Abhainn Tuaidh. Thogadh e mar bhorgh bharanachd ann an 1599. Ann an 2001 bha 14,361 duine a' fuireach an seo. Tha e fo smachd Comhairle nan Crìochan. ↑ Tha an Stòr-dàta Briathrachais Gàidhlig a' toirt "An Geal Ath" (gun srac): “an Stòr-dàta Briathrachais Gàidhlig”. Sabhal Mòr Ostaig. Air a thogail 10mh dhen Ghiblean 2018. Air an làimh eile tha Ainmean-Àite na h-Alba a' moladh "Galashiels" is ag ràdh gur dòcha gun robh "Gala" à Seann Bheurla: “Galashiels”. Ainmean-Àite na h-Alba. Air a thogail 10mh dhen Ghiblean 2018. ↑ “Galashiels, General”. Canmore, Àrainneachd Eachdraidheil Alba. Air a thogail 10mh dhen Ghiblean 2018. 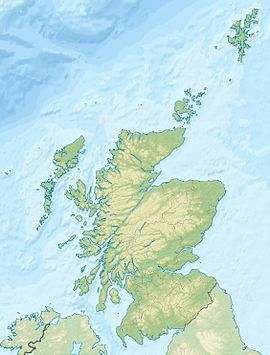 Air a tharraing à "https://gd.wikipedia.org/w/index.php?title=An_Geal_Àth&oldid=542535"
Chaidh an duilleag seo a dheasachadh 9 dhen Ògmhios 2018 aig 20:05 turas mu dheireadh.